Are you looking for new ways of promoting your e-commerce products on social media without annoying others with sales pitches? The ways that allow speaking directly to the target audience without sounding like a salesperson? Read on, you’ve come to the right place. Let me start by saying that selling products on social media requires a special approach that captures the interest of consumers in a way that they want to go to your website and see what the offer is all about. 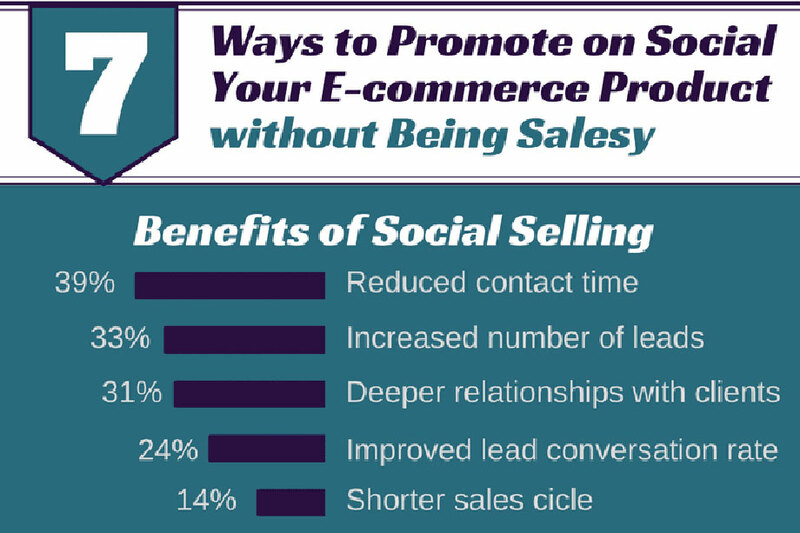 For eCommerce businesses, social media is one of the most important sources of traffic. So they need to learn and apply this approach there. Attracting the attention of potential and existing customers. Showcasing how a product can help to fill that need. Developing positive, ongoing relationships with the target audience through constant interaction. Eliciting a positive response (likes, comments, shares, and, of course, sales). Clearly, a traditional marketing approach that emphasizes the product is not going to help you achieve these goals. The online audience is getting savvier every day, and they prefer to make fully informed buying decisions. For you, this means that your promotion effort needs to be as sophisticated as possible. For example, to reach technologically savvy audiences like Millennials and Gen Z, you can use influencers and bloggers in your strategy. Given that people tend to connect with other people and not brands; you can use an influencer who also is a representative of the target audience. The influencer will show how great your product is for meeting the specific needs of the target audience. This is exactly what you want. This will make people a lot easier to relate to them, and, therefore, it gives you more chances of attracting some attention. Using influencers is not the only way to sell your products on social media without being pushy, and you know, “salesy.” In fact, there are plenty of other ways. Check out the best of them in an infographic designed by social media experts from College Paper. In addition to influencers, it gives six more methods of promoting your e-commerce products in a way that presents your brand as engaging and genuine. Simply put, they describe how to deliver a message that it is all about the customer, and not you, your brand, or your product. You may also like: 10 Improvements to Make Your Online ECommerce Store More Successful. This infographic is submitted by Lucy Benton. She is a marketing specialist, business consultant and helps people to turn their dreams into the profitable business. Now she is writing about marketing and business resources. Also, Lucy has her own blog Prowritingpartner.com where you can check her last publications. If you’re interested in working with Lucy, you can find her on  Twitter.